We at GizmoLord in sponsorship with Bitdefender is glad to launch our 6th Giveaway for our fellow readers and members. 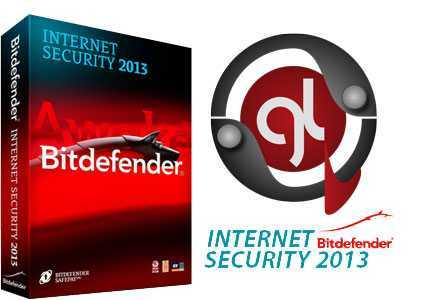 Bitdefender Internet Security 2013 is the acknowledged Antivirus of the Year. With a non-intrusive and extremely fast scanning technology, it offers enhanced silent security against e-threats. GizmoLord is giving away 5 license of Bitdefender Internet Security 2013 to 5 of our lucky readers/members. All you have to do is participate in the giveaway, earn more points to your entry increasing your chance of winning. Winners are selected on an automated random entry with the help of Rafflecopter software. The automated software selects the winning entry with use of random.org. This is all an automated process and we will explain you how exactly it works. For each entry you make, you get a unique entry number. Random.org selects the winner based on the entry number. The entrant whose entry number is selected by random.org is marked as the winner. So its simple, more the entry you earn, more the entry number you get – More the entry nuumber, more the winning chance. Make sure you do not cheat by registering with fake accounts in perspective of winning this contest. All entries are recorded and monitored by the unique security system at GizmoLord. Defaulters will get a permanent ban if we track such activity and will be barred from entering any contests held at GizmoLord. Be honest and play safe. 1. Members should not make multiple accounts in view of cheating the contest to increase the winning chances. We track each member with respect to IP address and cookies. 2. The winning person is required to provide us with a valid email address to get the Bitdefender Internet Security 2013 license delivered. Please refrain from participating in the contest if you wish not to provide us with the email address. Do subscribe to our email alerts, Facebook page and Twitter page to get updated with the future contests and offerings from GizmoLord Team.